Blackberry Farm -- Tucked into the Tennessee countryside, this dreamy hideaway has always beguiled me. Between the intimate rustic-chic accommodations, the on-site bakery and the world-renowned spa, this place is heaven on Earth! Essential packing item: Carrie Forbes Marisa Raffia Tote -- whether heading out for a picnic on the 42,000-acre property or trotting from a fitness class to the spa to lunch, this versatile tote is the ultimate upscale farm accessory. Hotel Joaquin -- This Robert McKinley-designed hotel just opened and I can’t wait to visit. The aesthetic is elegant, while still capturing Laguna’s laid-back energy. Between the private beach, in-room Vinyl record players, Le Labo products and snacks curated by Farm to People, I’m guessing this is going to be a consistent go-to getaway (like, every weekend!). 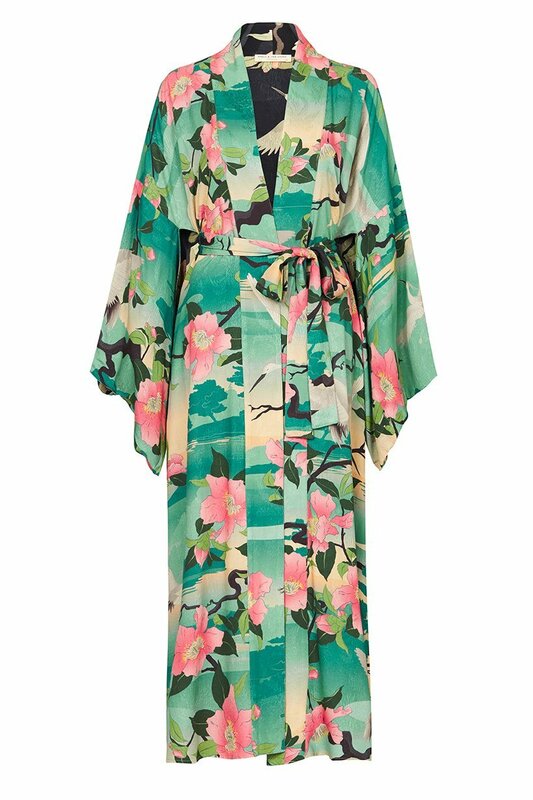 Essential packing item: Spell and the Gypsy Collective Nightingale Reversible Maxi Kimono -- who doesn’t love a twofer when traveling?...this reversible kimono works as a bathing suit coverup by day and open jacket by night. La Serena Villas -- A relatively new addition to the Palm Springs boutique hotel scene, this modern Moroccan-inspired escape is super IG-worthy. Originally built in 1933, the charming property offers vintage desert vibes, while still providing all the modern comforts. Essential packing item: Dita Nightbird-One Sunglasses -- filter that strong Cali sunshine with sunnies that make a real style statement! Montage Los Cabos -- The Montage brand never disappoints and neither does Cabo, so this must be a muy bien Mexico long-weekend escape. Every room has ocean views and an outdoor shower, the spa has a shaman who performs mezcal massages and the stones-throw beach is swimmable. What more could you ask for? Essential packing item: Loren Stewart Infinity 14-karat Gold Hoop Earrings -- these timeless hoops go from the beach to the bar to brunch, meaning you won’t need to worry about frequent jewelry changes! Post Ranch Inn -- One of California’s most iconic luxury hotels, this stunning coastal, cliffside sanctuary is set in the most seductive setting and seamlessly blends with the environment around it. Multiple pools, a spa, an award-winning restaurant and photographic views means truly unwinding, even if just for a few days. Essential packing item: Reformation’s Costa Bra & Nadja Hotpant -- part of the eco-friendly brand’s new lingerie offering, these pretty underpinnings are perfect for making the most of a romantic retreat.